We're experienced roofers who have provided top class roofing services throughout Beechdale and Bilborough for over 16 years. If you want an expert roofer able to handle a variety of tasks at an affordable price, we're the professionals you need. Wherever you are in the NG8 postcode area, call now on 0115 815 7202. 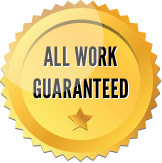 We're so confident in the service we provide, we offer you a guarantee on all roofing work. We're happy to visit you and assess your requirements professionally: we'll discuss the options with you and give you a free estimate. Call the local roofers for Beechdale and Bilborough today. We offer free estimates and all of our work is guaranteed. Just give us a call and we'll do our best to help you. Our roofing servicesWe offer a wide range of roofing services to the homes and businesses of Nottingham, from velux windows to roof repairs. View roof repairsIf you have a leak or if you have spotted a problem with your roof, it's important to resolve the problem quickly to prevent further damage. Read more about our servicesWe have been serving Nottingham for the past 16 years so you can be sure that our local roofers will give you the perfect roof.